My brother Wael has always been my role model. So when he started playing squash at about eight years old, I followed him. I was about five and a half. I fell in love with the sport straight away. One time, my parents had to drag me crying off the court because I didn’t want to stop playing. When I was 10, I started reaching finals and winning local tournaments. 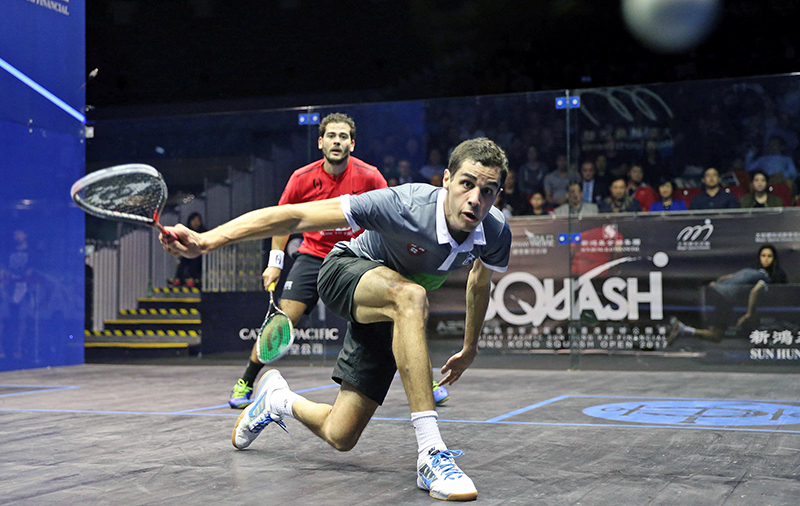 Squash is very competitive in Egypt. So winning tournaments is a big deal. In 2000, I saw Karim Darwish, a fellow Egyptian, win the World junior Squash Championships. I remember saying I wanted to emulate him. That was my goal. I never even thought about turning pro at that point. Later, I played squash for Harvard. After graduation, I could have gone into the private sector. I could have earned more money and had a more secure job. But Harvard’s head coach Mike Way, Nour (wife, Nour El Tayeb) and my brother, Wael, all told me I should turn pro. They said “you should go for it, it’s your passion, you’re good and you could turn your lifelong hobby into a career. So in 2009, I did it. In less than a year, I flew up the rankings from the very bottom, to world number 22. I reached the quarter final of the World Open that year. But it was about more than doing well, I was doing the thing I loved the most, with the person I loved the most, (my wife) while touring the world. It couldn’t have been any better. I love the mix of the physical and the mental side of the game. Squash has stamina, speed, skill, talent, spirit, power, intensity, agility, and above all, mental toughness. 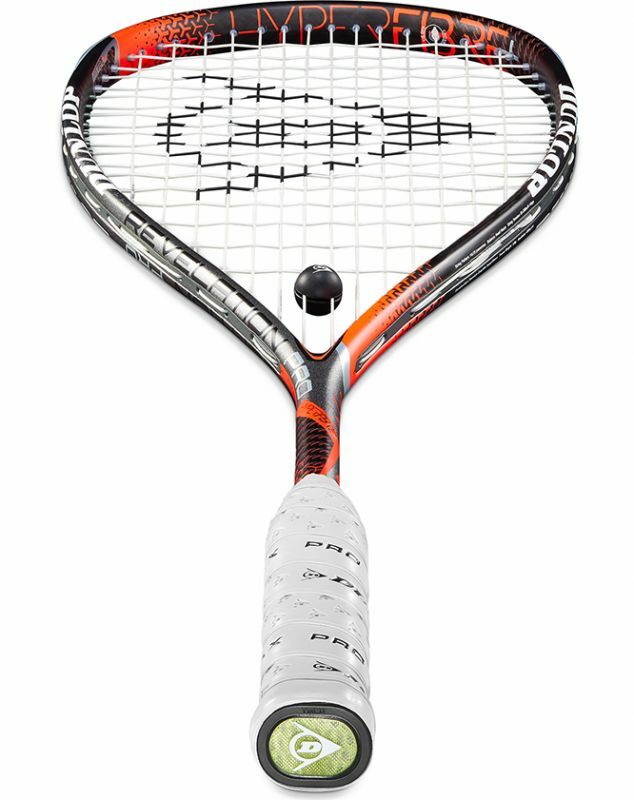 On the mental side, I love the smartness of squash. You have to be really sharp to outsmart your opponent. We play in an enclosed space, you can’t outpace or overpower an opponent, you have to be really smart in moving the ball around. I love that aspect. The mental and the physical definitely influence each other. What comes first, I don’t know. But if I’m physically fit, I know I’ll feel more confident if a match goes longer. And if I’m mentally strong, I can tell myself ‘it’s okay, you’re fit, you can do this’. I fell in love with the sport straight away. One time, my parents had to drag me crying off the court because I didn’t want to stop playing. I’m really proud of my achievements – winning the 2017 World Teams for Egypt, the 2016 Motor City Open International and the 2014 Collegiate Nationals with Harvard. That was the first time Harvard had won the nationals for 15 years. But my proudest moment was the 2017 US Open. Nour and I both won our finals on the same day, becoming the first couple in history to become champions on the same day. In any sport. Squash has been my passion for so long and given me so much, I want to give back in some way. To become world number one and take the sport to another level the way Roger Federer has done with tennis. So that means being a good ambassador. Being at the top of the game, while showing good sportsmanship on and off the court. I want to have an impact on society, to send a message that you can be a good athlete, a good scholar and have the respect of your peers. So many people have helped me get here. But there are five people who have always been behind me, to whom I owe everything – my Mum, my Dad, Nour, Wael and Mike Way. Mike’s been my father figure and has helped me a lot with the mental aspect and my approach to life. I want to be like one of those guys at some point. Whether I help people directly or indirectly. I’m one of the luckiest people on the tour, because Nour travels with me. She makes life much easier. She’s my greatest supporter, she understands me and she knows how to keep me grounded. I’m a very family-focused guy, so this is really important for me. In Egypt, I wake up at 08:30, have breakfast, then go for a fitness session around 10:00. Around noon, it’s hitting practice. Then I go for lunch and come back around 19:00 for a game with my fellow Egyptians. That’s Saturday to Wednesday. Same thing on Thursday morning, but then Thursday evening and Friday I’m off. That’s our weekend in Egypt. During a tournament, my routine depends on the match time. But before a match, I hit a few balls, get my body going, come back, eat, then go to my match about an hour and a half early and warm up 30 minutes before the match. At the beginning, develop your passion for the game. Technique comes later. As you grow older, just keep your faith. It’s a crucial part of the process. If you give up easy, you won’t get there. You’ll have so many ups and downs along the way. For me, the champions are the ones who bounce back stronger from failures, not necessarily the world number ones. Everyone has down phases in their career – an injury, a tough defeat, a loss of confidence. Those are difficult. But Mike said to me “don’t fight those things, accept them. Fighting tires you out and wears you down. Embrace them as part of the process, accept the challenge and you’ll get through it”. This is the way I try to approach it. My favourite quote is, “where there is a will, there is a way”. I never believe in excuses. I believe that if you really want to achieve something, you will find a way, no matter how hard it is. Role models are important too. I’ve always looked up to my brother and I’ve learned a lot from him. In sport and in life, Roger Federer and Zinedine Zidane inspire me. They’re great ambassadors for their sport. Talented, hardworking and disciplined. But humble, classy and elegant. I follow them closely and I hope one day I can be like them. I also remember being inspired by the World Squash Open that was played in front of the Pyramids in Giza, Egypt. I was already playing, but that made me want to become even better. It was my dream to play on that stage. It’s so iconic, you can’t help but fall in love with it. At the beginning, develop your passion for the game. Technique comes later. I don’t really pick myself up that well. But I used to be much worse. Once, when I lost in Chicago, I just walked back to the hotel in my sweaty t-shirt. I was so upset at losing, I couldn’t be bothered to change. And the weather was freezing. Now I accept the tough times more, so I don’t lose faith. If you’re too hard on yourself, you make it harder to bounce back. I’ve learned that from Nour. She’s really professional in that way. So I just try to be as disciplined as possible and not lose faith or motivation. I love to disconnect by watching tennis and football. I’m a huge Roger Federer fan and a big Arsenal and Real Madrid fan. I love travelling with my wife. I love the beach, I love my family, if you can call that a hobby. I’m into entrepreneurship. I read books and watch documentaries on it. Like the US TV show Shark Tank. My brother runs his own business and I join some of the meetings. I hope to join the company once I finish my playing career.